Take your racquetball game to the next level with the help of hall of fame coach Jim Winterton. 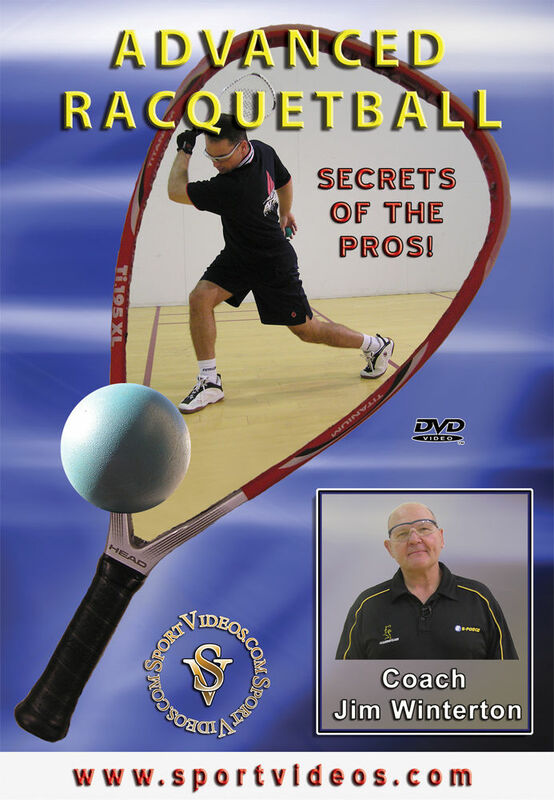 This comprehensive DVD reveals the techniques, training methods and playing strategies needed to become a champion. The topics covered include: forehand, backhand, a variety of serves, return of serve, court positioning, shot selection, numerous drills to improve footwork, agility, and stroke mechanics, plus much more. This program is an invaluable resource for players, coaches, and instructors, and will clearly demonstrate how to train, practice, think, and play like the pros! About the Coach: Jim Winterton has more than thirty years experience coaching athletes at all skill levels and is recognized as one of the best racquetball coaches in the world. He is the director of the High Performance Racquetball Camp in Colorado Springs, Colorado, and has coached the U.S. National Team for twelve years. He has been named Racquetball Coach of the Year by the United States Olympic Committee three times (1995, 1999 and 2003) and was a Racquetball Hall of Fame inductee in 1999.